There are so many details to organize and decisions to make. You may be working with a homebuilder or a general contractor, or you could be tackling this project yourself. In either case Framing Futures can help you. 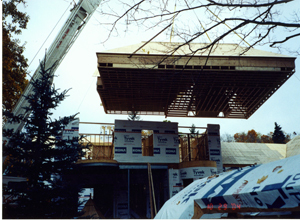 Our specialty is framing ... we take your project from the foundation to a solid structure. We do all the construction of the structure including the installation of exterior windows and doors up to the plywood on your roof. Framing Futures is happy to present you with a free quote based on your project drawings. 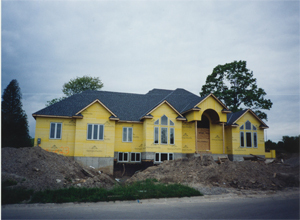 After 20 years in business we have experienced many different types of new homes as well as additions and renovations. We are committed to guide you through the project and suggest and reccomend other trades and suppliers who offer great service. View our photogallery of both renovations and new homes to see recent samples of our work. Check out our references and testimonials from pervious clients to hear more about us.